The holographic weapon sight (HWS) series, by EOTech, is considered one of the best red dot optics available today. In 2012, they added the XPS line to this already-impressive series of sights. At the time of its release, the EOTech XPS2 model was one of the shortest, smallest, and lightest of the entire EOTech catalogue. The XPS2 is incompatible with night vision equipment and devices, so it may not be for everyone. 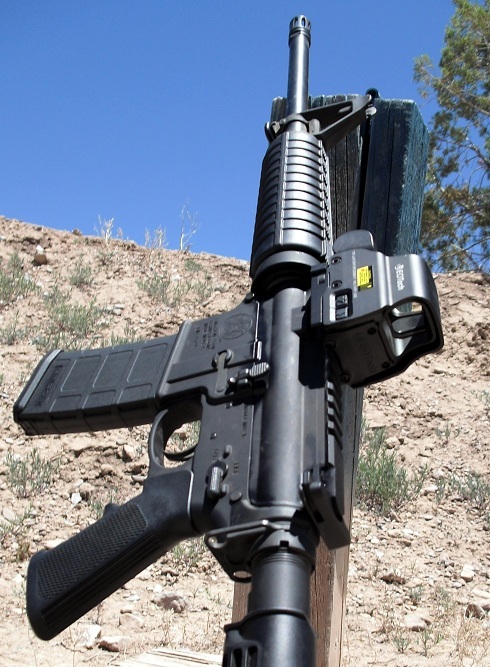 But, it does have a few very clear advantages over other red dot sights, and even over other EOTech HWS models. The XPS2’s body style is what makes it stand out. It is designed to better utilize rail space. With the XPS2 is in place, a shooter can mount other accessories to the rail, such as magnifiers or back-up iron sights. The manufacturer suggested retail price for the XPS2 HWS is $539. It can be found for lower prices elsewhere on and offline. 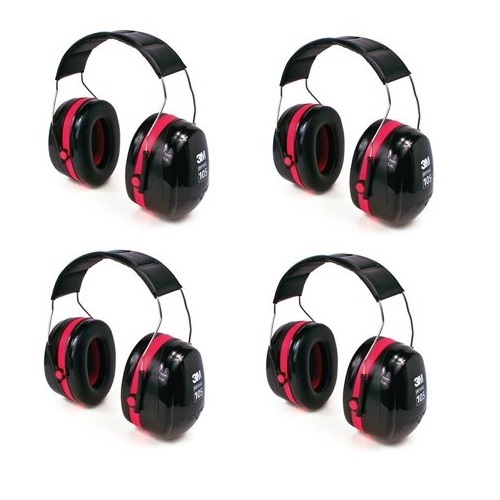 Now, when it comes to prices of weapons accessories, everyone has their ideas and theories on which one is better. Obviously, not everyone will have the same opinion on everything. Accessories are a lot about personal taste and preference. However, when dealing with sights and scopes, there is a golden rule which almost never fails. That rule simply states: the more expensive the optic is, the better it will usually be. This doesn’t apply to all weapons optics 100% of the time, but – more often than not – if the optic costs a hefty sum, it will be made of higher grade materials, and better quality glass. There will probably be more advanced coatings on the lenses, and a sturdy, durable exterior. Put plainly – you get what you pay for, for better or worse. And, in the case of EOTech it is definitely for the better. Like others in the EOTech HWS family, this sight is also intended mainly for close- to mid-range targets. 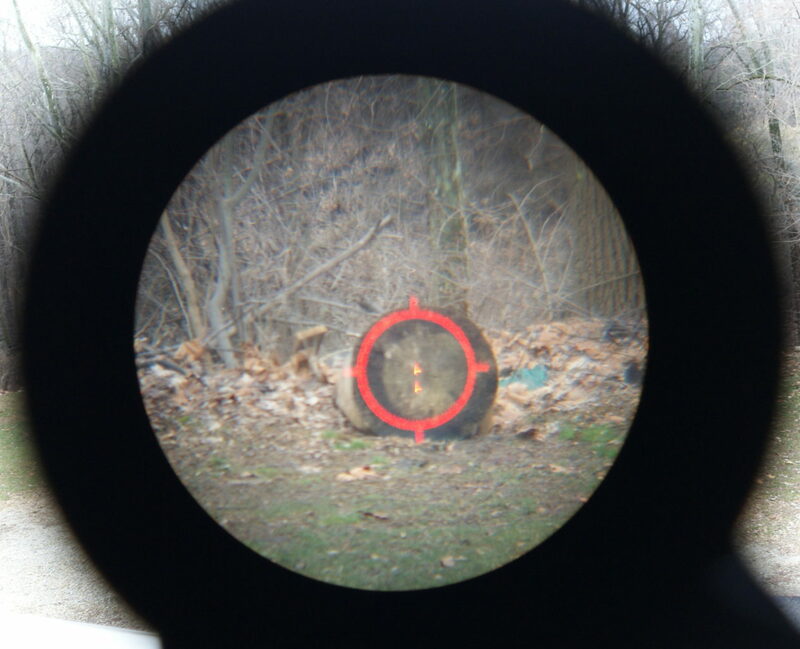 It is meant for quick, easy, accurate target acquisition, and under 100 yards is where you can really see it shine. Sure, you could hit at long range with the XPS2. Some shooters are better than others, regardless of any optic. But, keep in mind that the XPS2 has no magnification. For longer ranges, you would probably be better off pairing the XPS2 with the G33.STS magnifier. Alternatively, you could wait till August (2016), and get your hands on one of EOTech’s brand new Vudu scopes. This sight resembles the 512 model in many ways, and it is mainly its smaller build and battery type which make it different. The shooter has the option of acquiring the target with both eyes open, thereby gaining a much larger field of view and staying fully aware. EOTech’s HWS line is parallax-error free, so there is no need to compensate for it. There have been some users who complained of fuzziness or distortion, but in my opinion the cause for that was one of two things: either the brightness setting was way too high, when it was uncalled for – or, those users need their eyes checked. This thing gets very bright, and it could be that some mistake it for fuzziness. Of course, there is a third option. Not every sight is the same, and it could very well be that a small percentage of EOTech sights have problems, just like any other product. 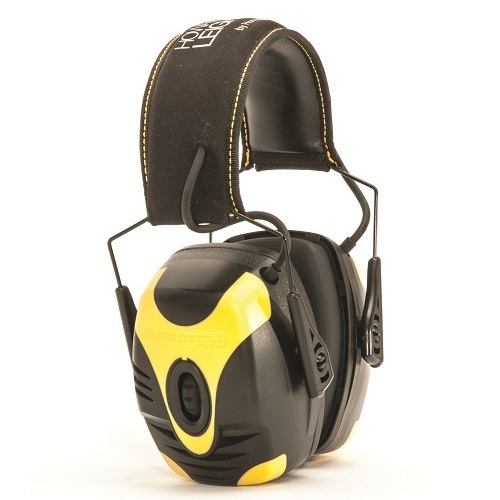 For that precise reason, there is a limited 2-year warranty on the sight’s materials and workmanship. 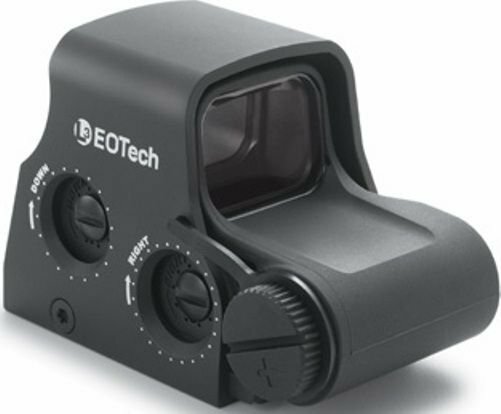 If you feel something is wrong with the electronics or optics, get in touch with EOTech. Send it in, and take advantage of their fine service. The company will repair or replace your sight, if necessary. Their factory is located in Ann Arbor, Michigan, and there are no plans to move. 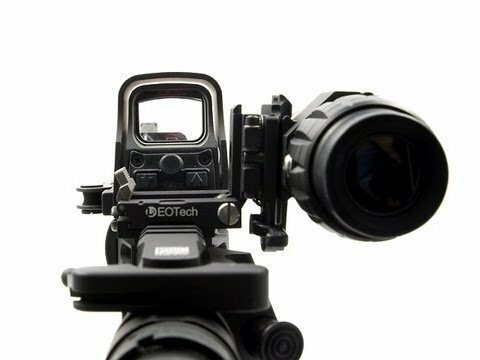 EOTech has been making quality optics for 20 years, and it is by no mere chance that this company is considered to be one of the best in the world. This sight is rugged and battle-proven. When you’re moving room to room within a poorly-lit house – with only your commander having continuous night vision, through a helmet-mounted device – you gotta be ready for anything. The XPS2 facilitates good combat training, and this is why EOTech and the military enjoy such a close relationship. The ring-dot reticle fits perfectly into close-quarter battle (CQB) doctrine, which is why sights like these are also popular with many law-enforcement officers and government agents. This HWS is worth its price tag. Yeah, it hurts to click that “Submit Order” button. But if you want the best, you have to be ready to pay for it. 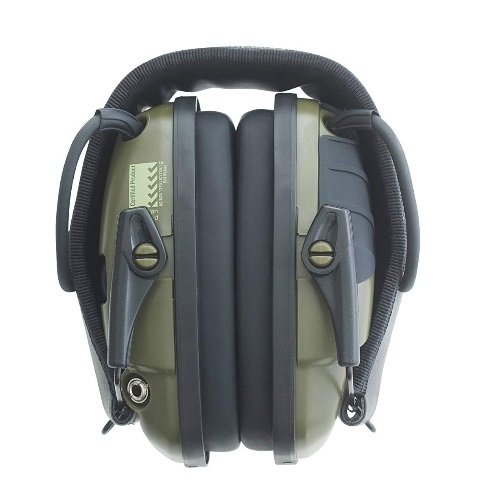 This sight can be amazingly useful, whether for home defense or on active, everyday duty. At any rate, it’s important to have a quality optic, and it is also important to continue training without it sometimes. The XPS2 is a high-grade piece of glass. If you feel it is the sight you are looking for, then reach out and make it yours. You will not regret it.